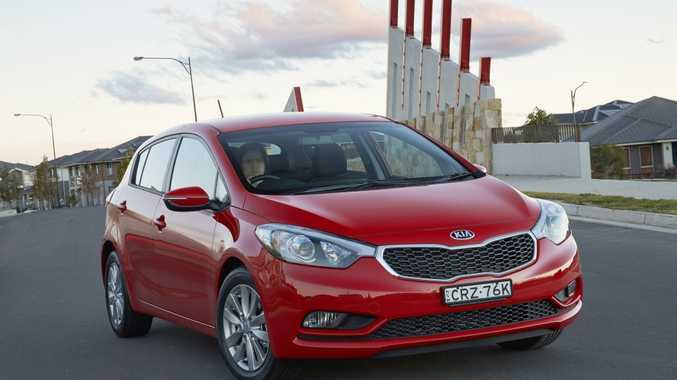 The new Kia Cerato Premium S.
KIA'S Cerato small car has gone "premium". New 2015 model-year variants have been introduced, featuring an array of new equipment for $2300 over the entry-level automatic Cerato. The Cerato S Premium comes with sat nav, a rear-view camera, 17.7cm touch-screen and DVD player, 16-inch alloys and automatic lights. Under the bonnet is the same 1.8-litre petrol engine. Standard equipment includes cruise control, front and rear parking sensors, air-con, a trip computer, power windows, six-speaker audio system, six airbags and a swag of technological gizmos that help it achieve a five-star safety rating. "Cerato not only highlights the Kia commitment to safety and value but is one of the most stylish small cars in the Australian market, sharing cues with a range of Kia's design award-winning models," Kia Motors Australia chief operating officer Damien Meredith said. "The addition of the S Premium grade again underscores Kia's philosophy that you needn't go to the top of the tree to find the best fruit." Premium S is available in both four-door sedan and five-door hatch guises. As part of the range upgrade, satellite navigation will also be standard in Si and SLi grades, while the six-speed manual transmission will be available only on the base S model. All other grades will have the six-speed automatic as standard. Si and SLi models in sedan and hatch will continue to offer the 2.0-litre GDi engine. 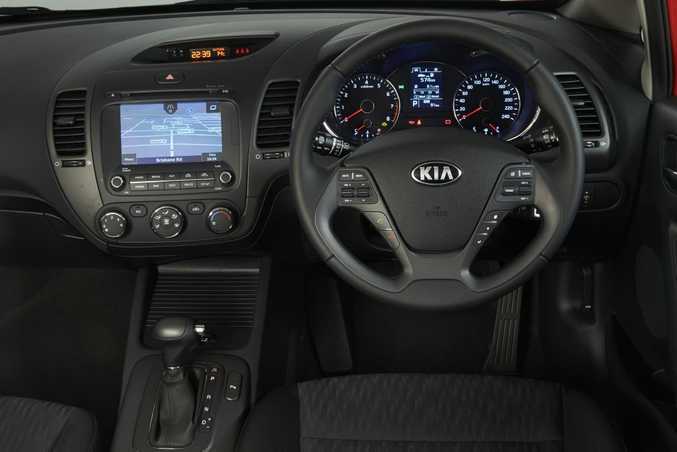 Inside the new Kia Cerato Premium S.